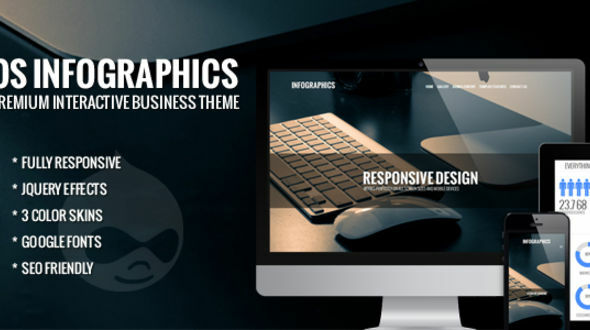 OS Infographics is clean and elegant business template with interactive elements. Animation jQuery effects will make your site alive and attractive. OS Infographics is great choice for all who want to show work in a creative way. OS Infographics is fully responsive and adapt to all screen sizes and resolutions, you don’t have to scare about how your website looks on mobile phone or tablet.